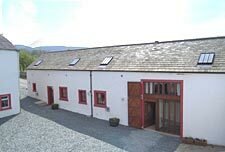 Welcome to Wood Farm Self Catering Cottages, situated in the Western Lake District in Cumbria, close to one of Britain’s most picturesque valleys - Lorton Vale. Nestling in the rural hamlet of Brandlingill, Wood Farm dates back to the 17th century. In its heyday, it was one of the larger, more prosperous farms in the area but nowadays, no longer a working farm, the country way of life offers a home to the Cooley family. 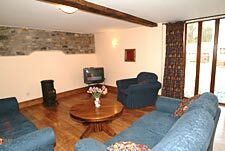 The holiday cottages have been tastefully converted from a disused barn to create two very spacious and delightful self catering cottages - Tithe Cottage and The Byre. Both cottages sleep 6 people in comfort and provide visitors with all the modern amenities expected in a luxury Lake District self catering cottage. One small pet is permitted in The Byre only. Brandlingill is a superb base to explore both the Lake District and the historic Cumbrian coast. The lovely village of Lorton is two miles away with a pub and a shop. The lakes of Bassenthwaite, Buttermere, Crummock Water and Loweswater are all within a ten mile radius and there are walks of varying degrees of difficulty from the door or within a short drive. The market town of Cockermouth is only 4 miles away where you can find the birthplace of Wordsworth. Take a scenic drive over Whinlatter (the only mountain forest in England) to the stunning Lakeland market town of Keswick where you find may speciality shops, cinema, galleries and more. The harbour towns of Whitehaven and Maryport are twelve miles West and a little further afield is the Solway Firth, a particular favourite with ornithologists. Please browse the website using the buttons on the right to navigate through the pages where you will find out more about the holiday cottages, local walks, the location and nearby activities. If you have any questions, please use the online enquiry form or call 01900 829533.